Field Uniform (commonly referred to as a "Class-A" uniform). Webelos may wear a khaki field uniform. Call the Green Mountain Council Scout Shop at 800-704-3089 or email your order to scoutshop@scoutingvermont.org. 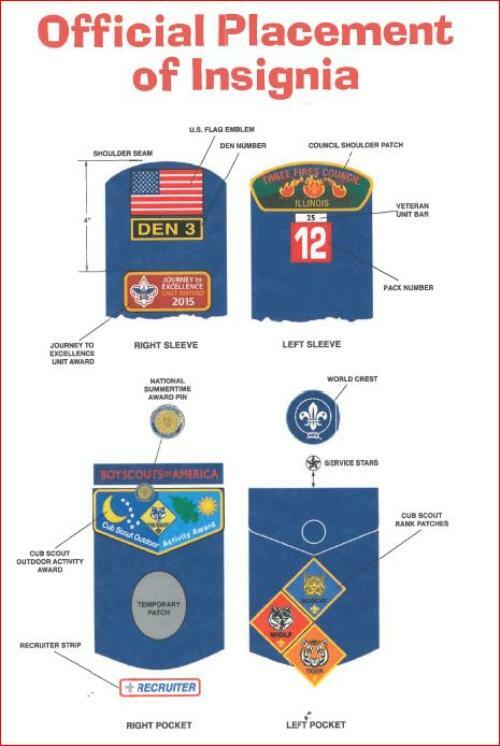 Please make an effort to have all proper insignia in the correct place on your scout's uniform. Your Den Leader or Cubmaster can help if you have questions about placement.